(Measure twice, Cut once) IT Pro. AppLocker is a set of Group Policy settings that evolved from Software Restriction Policies, to restrict which applications can run on a corporate network, including the ability to restrict based on the application’s version number or publisher. Click Start – All programs – Administrative Tools – Group Policy Management. 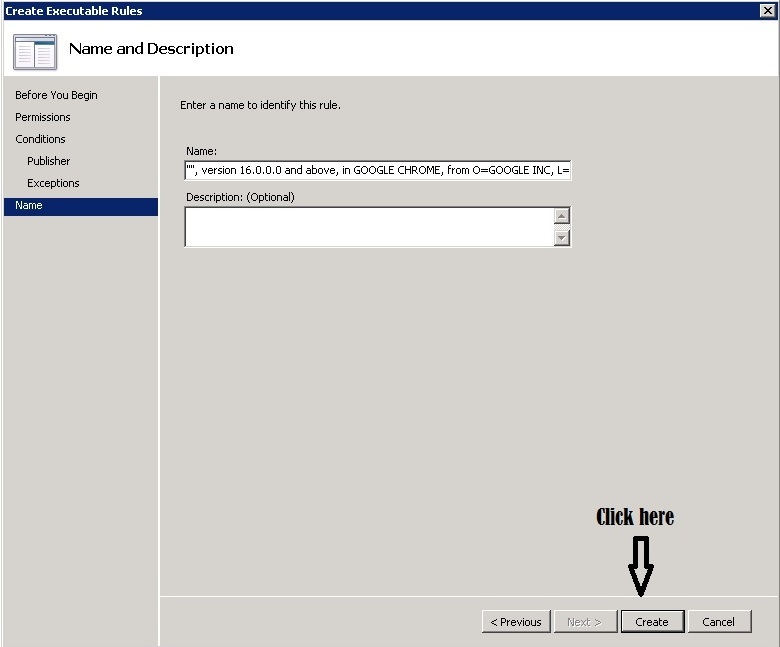 Create or Edit Group Policy Objects. 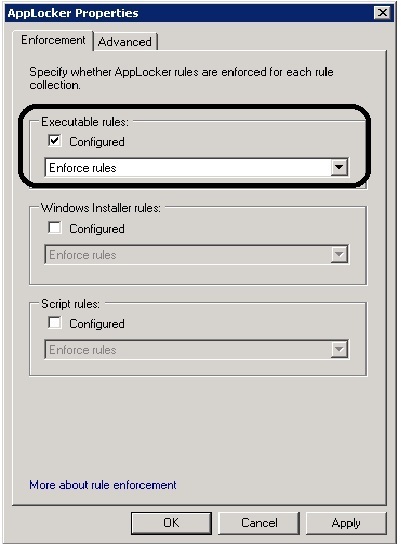 Expand Computer Configuration – Policies – Windows Settings – Security Settings – Application Control Policies – AppLocker . Select Deny and select what user or group will prevent. 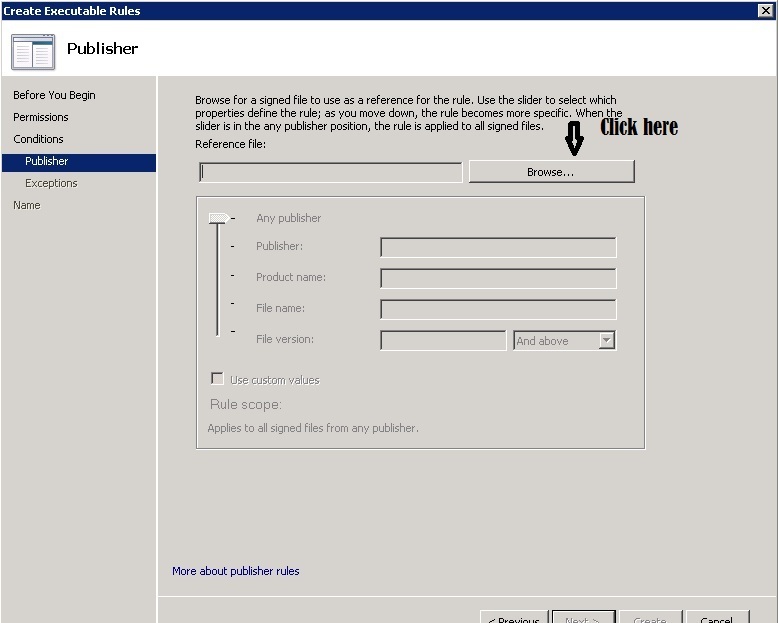 Publisher rules: This condition identifies an application based on its digital signature and extended attributes. The digital signature contains information about the company that created the application (the publisher). The extended attributes, which are obtained from the binary resource, contain the name of the product that the application is part of and the version number of the application. Path rules: This condition identifies an application by its location in the file system of the computer or on the network. 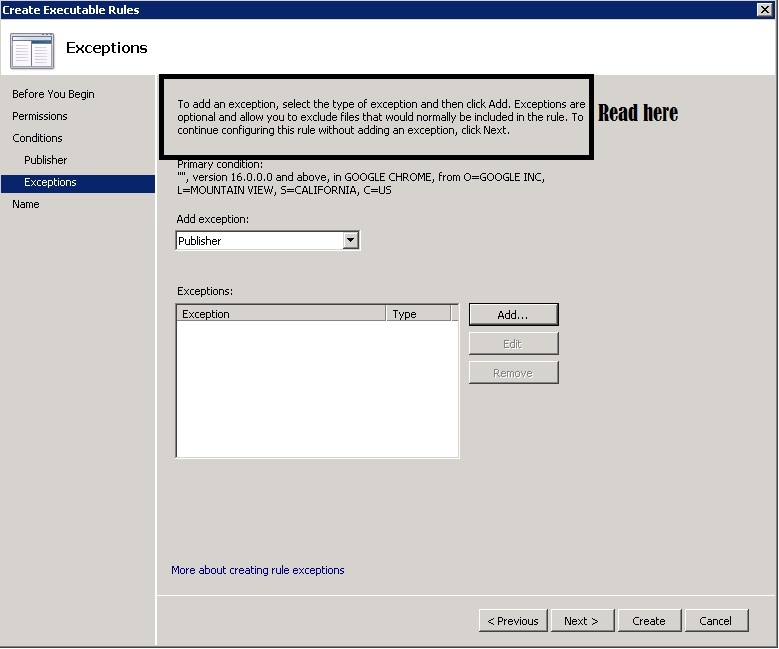 File hash: This condition identifies an application which is not digitally signed can be restricted by a file hash rule instead of a publisher rule. Choose any options from prevent with any publisher, publisher, product name, file name and file version then click Next. 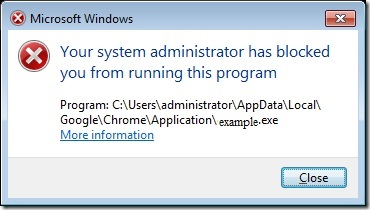 You will now be prompted to create some default rules that ensure that you don’t accidently stop Windows from working. Click “Yes” to this if you don’t already have these rules created. 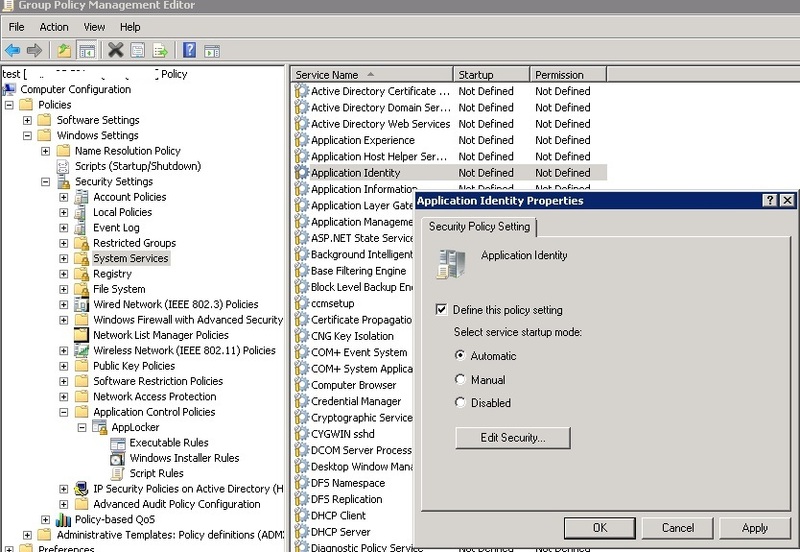 Check Define this policy setting box and Automatic then OK.
Posted in Group Policy, HOW TO ? 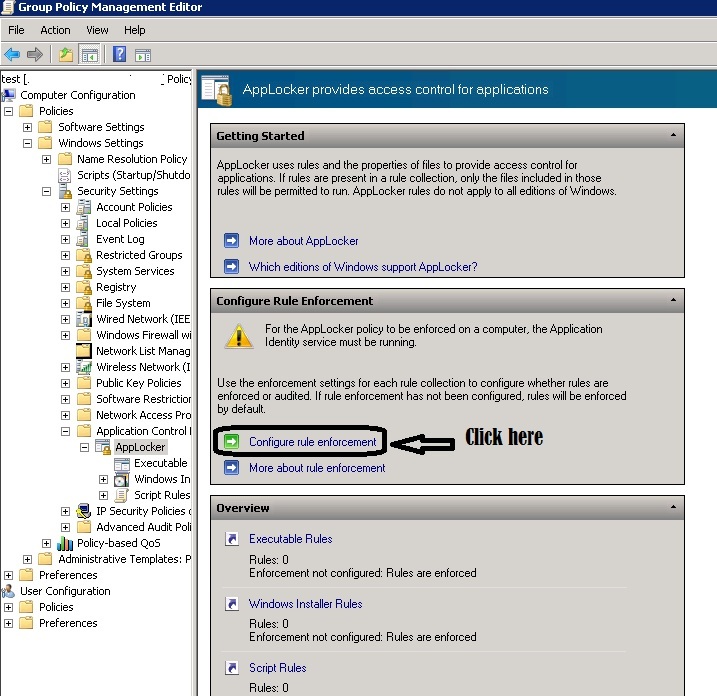 This article describes how to force proxy settings via group policy. 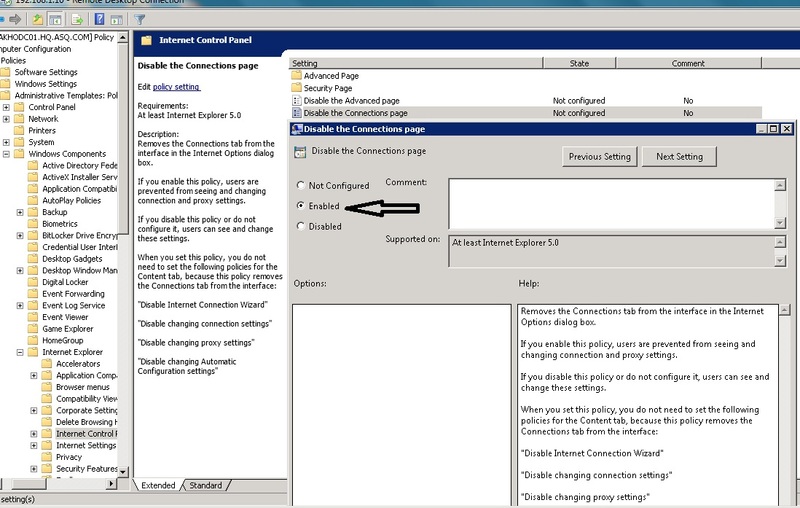 Expand User configuration – Policies – Windows Settings – Internet Explorer Maintenance – Connection. In right Pane Proxy Settings. This article describes a quick method to find the MAC Address(Media Access Control). 1- What is MAC Address ? for communications on the physical network segment. – Address Resolution Protocol (ARP) is the protocol that maps Ethernet MAC address to IP address. Note : If you not determine the IP the command will give you MAC Address for all subnet network. 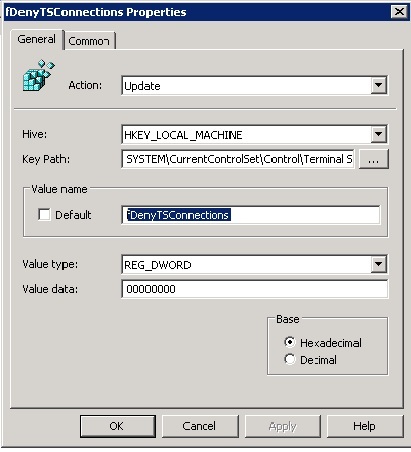 Expand Computer Configuration – Administrative Templates – Windows Components – Remote Desktop Services – Connections. Expand Computer Configuration – Preferences – Windows Settings. Right click Registry – New – Registry Item.